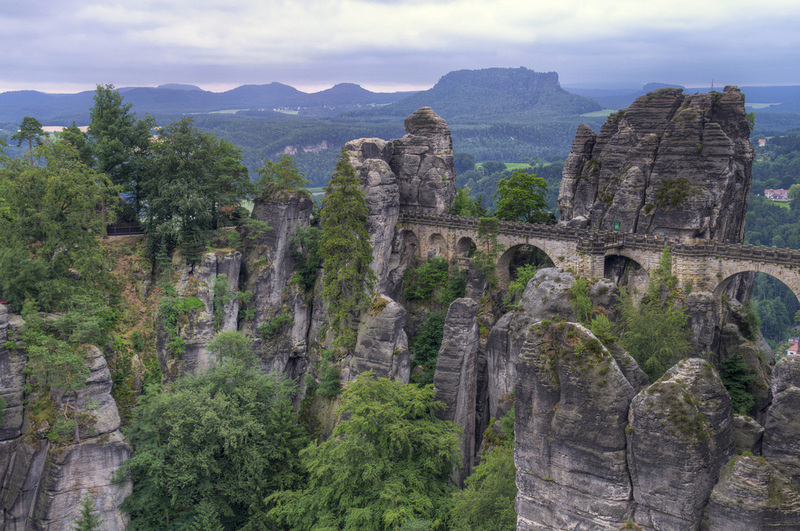 The Bastei Bridge is a spectacular bridge over a rock formation on the River Elbe in Germany. 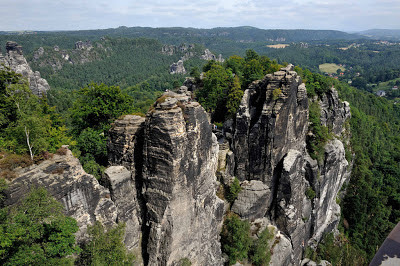 Located in the Saxon Switzerland National Park the cliffs connected by the bridge are part of a popular hiking area that extends even into the neighboring Czech Republic. Close to Dresden, the spa town of Rathen is the most popular tourist accommodation place in the area. 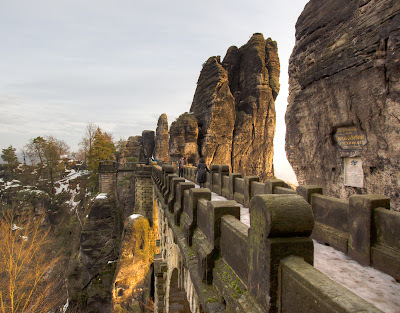 Bastei is an old tourist attraction in Germany, the first wooden bridge connecting the sandstone peaks being constructed in 1824. The current sandstone Bastei Bridge was constructed in 1851. 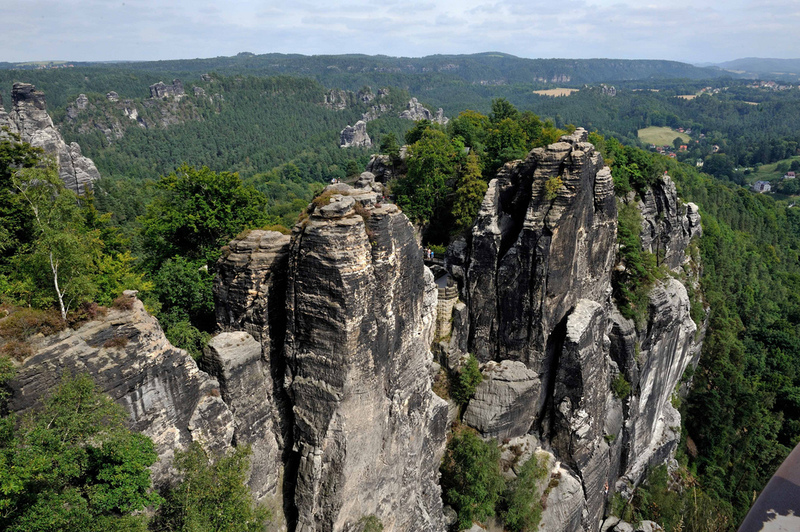 Part of the Switzerland National Park, this area has some strict conservation rules and it's not really affected by the surge of mass tourism. 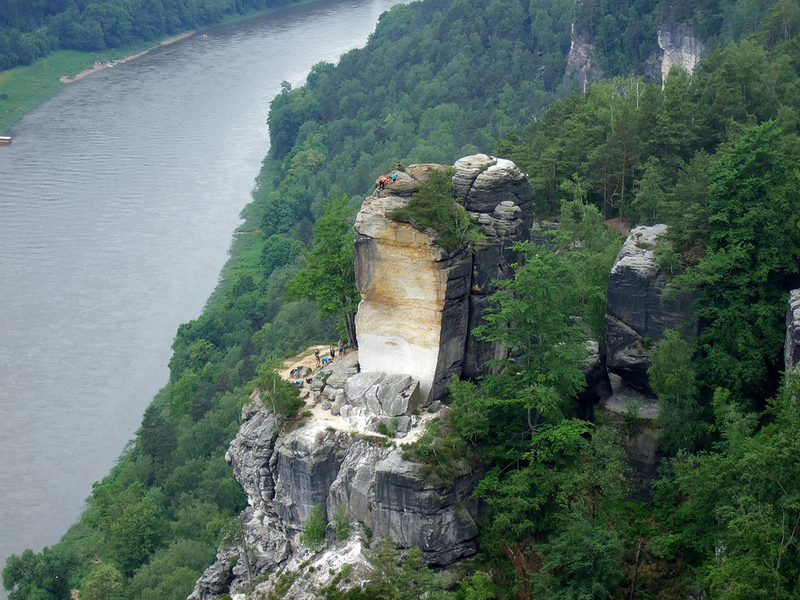 A great way to discover the landscape carved by the River Elbe and the masterpiece of Bastei is following the river path by steamboat or other water transportation that's available in the city of Dresden. The hiking trails are of course free and easily accessible all year long and rock climbing opportunities are also available.